Stressed? With our busy lifestyles it is no wonder that so many of us are on the hunt for stress relief tips. 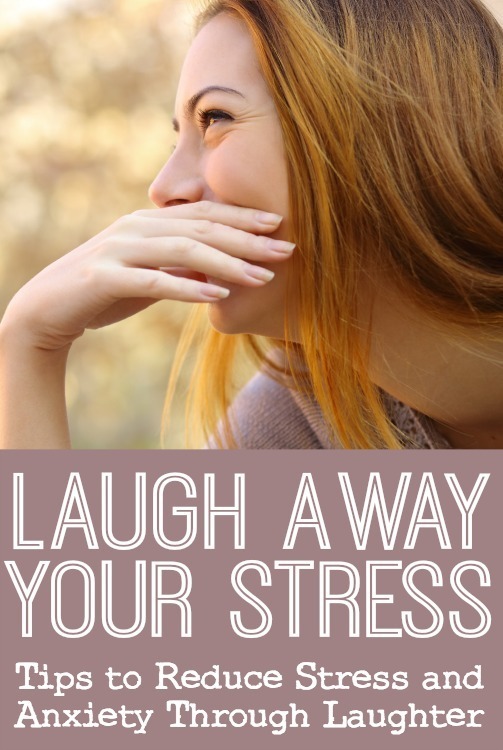 Stress is something that is almost impossible to avoid completely due to the way that we are wired as well as our day-to-day lifestyles but, with that said stress can be easily dealt with and minimized. Here is 28 stress relief tips that work. Recommended: Spark: The Revolutionary New Science of Exercise and the Brain. Exercise seems to always creep into articles like this: But that is because it is so totally foundational. Exercise has the ability to relax both your mind and your body. In addition to so many benefits, one of the big advantages is that exercise provides stress release. Exercise does not have to be a chore. It can easily be incorporated into your daily activities. It may be difficult to begin an exercise program but almost anyone who does it will say that it becomes easier after you get started. Of course talk to your physician before beginning an exercise program. Clear your mind, increase your health and relieve your stress with exercise. A perfect form of exercise for almost anyone in almost any health condition is yoga . Drink lots of water! Again, this one is also foundational. Drinking plenty of clean water to keep those brain neurons communicating and able to function at their best! A hydrated body is a healthy body. Bring water with you everywhere! Getting enough sleep at night as well as the right sleep – meaning restful, uninterrupted sleep, is crucial to keeping stress at bay. Try to relax evening prior to bedtime. If you watch television in the evenings ensure it is not violent or exciting so that your rest is not disturbed. Better than television, however, is to read something soothing or listen to soft pleasant music. If sleep is an issue for you, meditation can be really helpful. Yes it is hard to relax when you are experiencing stress. There are so many relaxation tips though. Too many to mention here. They include deep slow breathing with visualization. For example, as you breathe out picture all the stress leaving you. Other relaxation techniques include meditation, yoga, EFT, biofeedback or brainwave entrainment, listening to soothing music, prayer, asking for help, and joining a support network to name just a few. Too often we get into patterns where we work too much, sleep to little, and run our body into the ground. Take breaks daily, weekly, monthly, yearly. Get up during the day from your work and take a brief walk. Stretch throughout your day. Take a weekend get away to freshen up your mind from your work. Take a yearly trip to experience something different from the 9-5. Even just an evening or a Saturday morning rewarding yourself with some “me” time will do the trick! Living a balanced life is very important to maintain limited stress. Balance does not mean trying to do too many things at once. Balance means not living all work and no play or no rest. Create a balance of work, family, friends, exercise, hobbies, and other things that are important to you. It means doing your best in all areas of your life and then letting go. It may seem harsh to some, but eliminating people from your life that cause you stress, negative emotions and that drain your energy are not worth it. They’re called “Emotional Vampires.” If you feel you cannot eliminate these people, at least keep their presence in your life to a minimum and seek lifestyle changes to avoid them entirely. Last, if it is someone you cannot get rid of, such as a boss, parent, child or teacher, seek healthy ways to process their role in your life. Who ever said “Fail to plan, plan to fail” was on the ball! There is also an element of stress in unplanned situations. Unknowns cause us to worry, and to get stressed out about situations that we could have taken a little time to plan ahead is something we can avoid. Sit quietly for five, ten, twenty minutes a day, following your breath, is a good way to begin creating a personal practice of what is called mindfulness. In today’s speed-of-light world, it is common to feel scattered with the mind thinking about one thing, while the heart reaches toward another and the body hangs out someplace else. Mindfulness is about bringing all these aspects of the self together. It is practicing being fully and deeply present, aware of each passing moment. And the simplest, easiest and best place to begin is the breath. The best way to start is to take some time to sit each day in silence and over time the mindfulness practice will find its way into other areas of your life. Make your life regular like “clock work.” Go to bed and get up at the same time each day. Get in a routine and stay with it. This can provide you with a level of certainty and relieve stress. It is important however, to remember that while we can have a set plan of when we do things, it might not always work that way 100% of the time and flexibility can relieve our stress as well. Say “no” more often when other people want your time but when you feel less than enthusiastic about giving it. This includes social engagements, the family dinner on Christmas, Thanksgiving, etc. It also includes projects and volunteer positions when you simply do not have the time for it without sacrificing personal time or sleep. This means getting things done in less time. We so often choose a more difficult way to get things done than is necessary. Recommended: Getting Things Done: The Art of Stress-Free Productivity. If you are a work-a-holic or school-a-holic consider reducing the energy drain on your body by lessening your load wherever possible. And if its just not possible to reduce hours, see Stress Relief Tip #14 above! These mind activities include reading, working on a craft, listening to music, playing a musical instrument, meditation, self-relaxation, dancing, and biofeedback. When you find yourself worrying over a problem, set aside a time for worrying. Then put off worrying until that time. Worry if you want, but chances are you will view this time as a problem-solving session where you are able to find solutions. Either that or you may not even remember what you were stressing yourself about when worry time comes around. Doing something to take your mind off your stress, such as playing games is a great way to relieve stress. This works in a number of ways: (1) It instantly reduces the stress through distraction. (2) It helps you gain perspective by taking your mind off the stress for a little bit. (3) It gives you enjoyment. It is a great idea to have some little hand-held “do-dads” that you can play with throughout your day. If you cannot afford a professional massage do you have a spouse, friend or loved one that you can do a massage exchange with one afternoon or evening? You may not know what is inducing you stress. Try to understand where the source is coming from if possible. Once you understand what is causing your stress you can try to modify these problem areas. If you can not eliminate the source of stress, can you substantially reduce them? And if nothing else maybe you can look at these stressors in a different way. Always look on the bright side of things. Don’t think about what may go wrong. Take positive steps to improve yourself, your business and your spirit. Work on your ambitions. Find methods to enhance your routine activities. At the end of the day understand that you have done all you can to maintain a healthy lookout on life. Now you can relax and enjoy the remainder of the evening either by yourself or with family and friends. Take a bath with bath salts. The bath itself is soothing and relaxing and bath salts extract toxins from the body. They don’t have to be expensive. Plain old epsom salt does the trick and can be purchased for just a few dollars. Multitasking can be dangerous because our brains are not designed to do two things at once. The idea of multitasking in terms of a stress relief tip has to do with just getting more done in less time by doing it at the most efficient time. For example, if you are going downstairs, grab the laundry on your way. If you going across town to go shopping, get gas while you are out. You do not have to do it all. We often take on more than we can handle. Have you ever had these thoughts? : “If I don’t do it myself, it won’t get done right.” OR “It will take me longer to teach someone else how to do it than it will take for me to just get it done myself. It does not have to be that way. By not delegating, we end up not getting things done or we get it done, but with sacrificing sleep or relationships. Both scenarios create stress. There is an art to delegating. It is an important skill for those who can benefit from it. Keep your life as simply as possible. Simplify and de-clutter wherever possible. If you are looking to make major changes, take it one step at at time! Change of any kind is stressful and limiting it until later is a good strategy if you are under a lot of pressure. In your daily or weekly schedule book time first for yourself and then the other activities you are involved in. Don’t let anything, except an emergency, usurp your commitment to yourself. Take a moment to think about the things that are the most important for you in your life. Often times when we are living off the wall and not by our values there is an increase of stress in our days. Ask your friends, family, coworkers and neighbors for help. People love helping people and that can greatly help you. Its okay not to have all the answers and not be able to do it all. If your stress is so severe and you can’t seem to find relief regardless of what you try then you may desire to request professional help. Find a counselor, psychiatrist, medical doctor or life coach to help you get through.